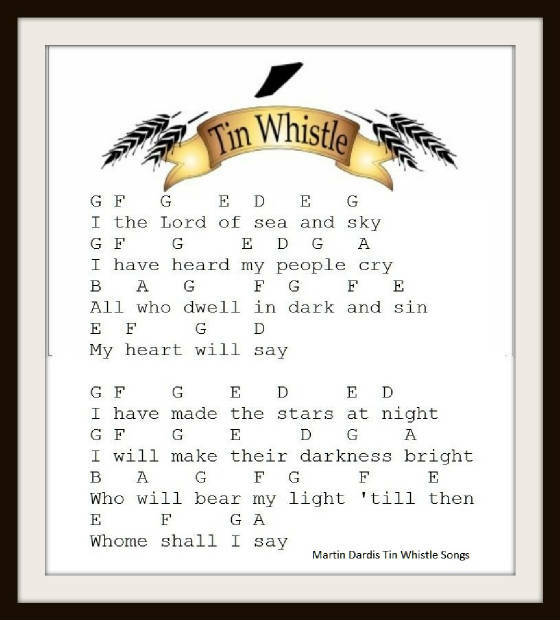 Here I Am Lord Tin Whistle And Piano Keyboard Notes. 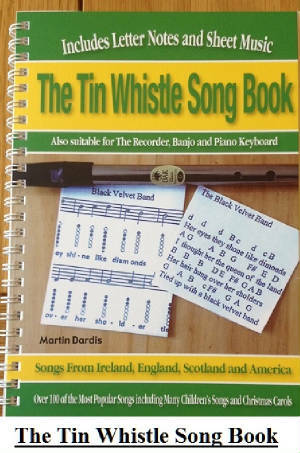 The first image is for the whistle but you can also play the same notes on any instrument. It's the easiest version. The second version is set for the piano keyboard and is in a different key. I played it this way from listening to Daniel O'Donnell singing it. 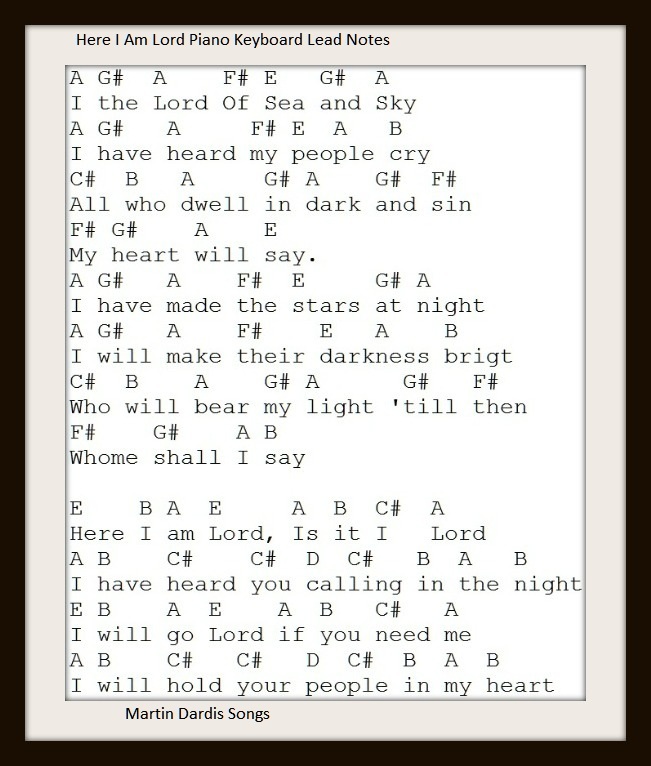 In the youtube video the first version is on the D whistle and the second video is keyboard / accordion which uses 3 sharp # notes, F,G and C. I always thought that this hymme was older than 1981, no so, it was written by Dan Schutte and has been voted the No 1 hymn to sing by choirs at mass/service. When I was making the image above I forgot to include the chorus, silly me. Anyway these notes below are the chorus.